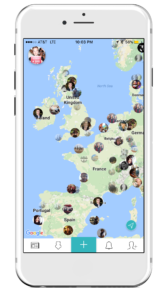 I'm the co-founder and CEO of Spotted Places, which is an app that allows you to visually find recommendations from your friends when it comes to finding things to do. I would love if you checked out the app and let me know what you thought! I would love if you took a moment to check out my blog or say, "hi" by contacting me at contact@bryhaw.com. If you are interested in working with me I also do several types of consulting.